"Wasted" is a song written by Marv Green, Troy Verges and Hillary Lindsey, and recorded by American country music artist Carrie Underwood. It was released in February 2007 as the sixth and final single from her multi-platinum debut album, Some Hearts. The single began receiving country radio airplay as an album track, causing it to place on the US Country chart weeks before its official release as a single. In January 2007, Underwood filmed the video for the song in Tampa, Florida. This is now her fourth music video, and it was released during the beginning of February. The music video premiered on CMT Loaded.com. Underwood performed the song on American Idol on March 8, 2007, after they paid her a tribute for her achievements since winning Idol in May 2005. She also performed the song live during the 2007 Academy of Country Music Awards on May 15. "Wasted" is a mid-tempo that deals with themes of addiction, including alcoholism. The song has two characters who each have to stop the addiction from taking over their lives. One of them gets out of addiction to a relationship, and the other gets out of addiction to alcohol.For Underwood's fourth music video from Some Hearts, she appears in different, simple scenes, such as a house. An actor is also featured in the video, who fits the character dealing with the theme of the song. The music video is in complete black & white format, and it was released in early February, sooner than expected, thanks to the song's radio success. 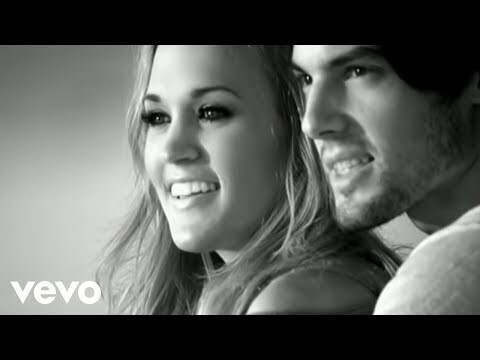 A shortened version of the song is used in the video, cutting out nearly a full minute of the song.The sixth single from her debut album, "Wasted" become Carrie's fourth consecutive number one country single and fifth overall number one single. It spent three weeks at number one on the country charts. It debuted at number 57 on the country charts before its official release. The song also received a significant amount of digital downloads on the iTunes music store after her performance of the song on American Idol. The song sold 705,000 as of October 2011.